Intruder alarms detection systems are perfect for both the business and domestic user. We offer a tailor made supply and fit service specific for your needs. With a wide range of fire alarm system types and options, we can offer sound and impartial advice on the most appropriate solutions for your fire safety needs. CCTV solutions are tailor made for your business whether small retail or large industrial. All systems are installed to meet the requirements of NACOSS. All the access control systems that we install can be combined to provide different levels of security and personnel authentication including ID cards and PIN entry. South Antrim Alarms Ltd was founded in June 1979 making it one of the longest established independent security companies in Northern Ireland. 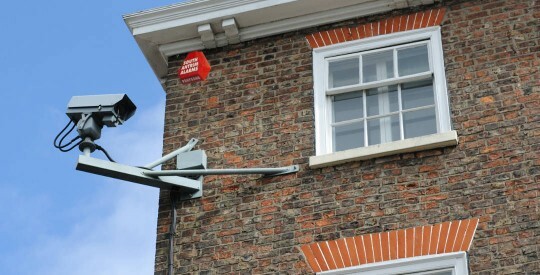 From it’s beginnings the main objects of the Company were to install competitively priced intruder alarm systems without compromising on the high quality standard and also to provide an after sales service of an equally high quality. In January 1992 South Antrim Alarms was accredited as an approved NACOSS installer enabling us to adopt the Quality Management System specification BS5750 Part 2 and NACOSS Quality Schedule SSQS101 as the latest step in the company’s growth and further adopting the Standard of BS EN ISO 9002: 1994.